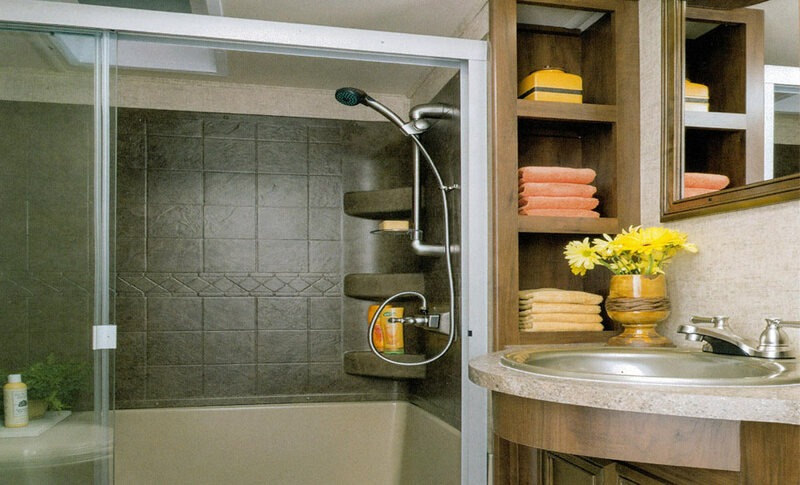 By combining great amenities with modern features, we have created a new niche for a great Northwoods’ vacation. 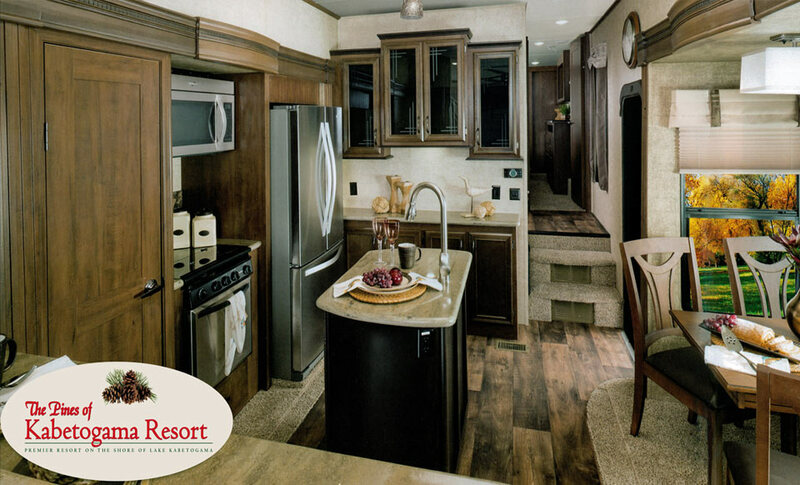 You arrive at the campsite to find a fully-furnished, luxury RV planned for you to enjoy. This spacious Glamp Camp has direct views of Lake Kabetogama. 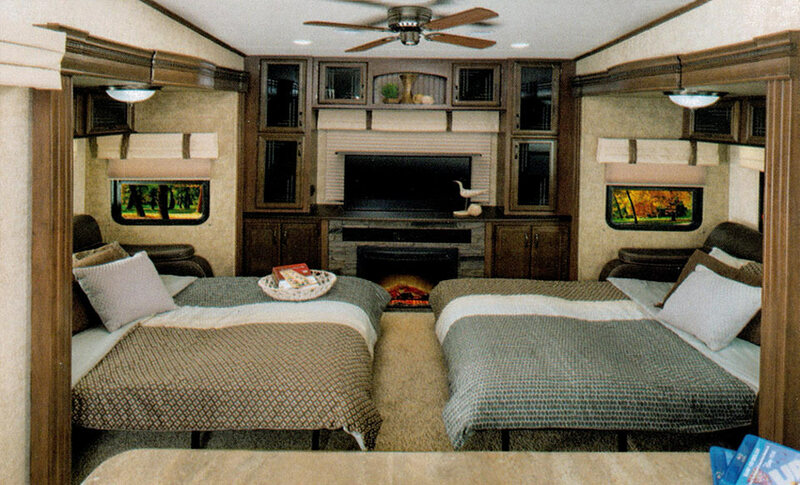 The opulent fifth wheel is outfitted with a great dining area for four; a large living room with electric fireplace, flat screen TV with satellite, Wi-Fi, two queen sofas which convert to hideaway beds and two recliners; a full-size kitchen — well-appointed with stainless steel appliances and Corian counter tops; a king-size bedroom; vast closet; and a large bathroom. 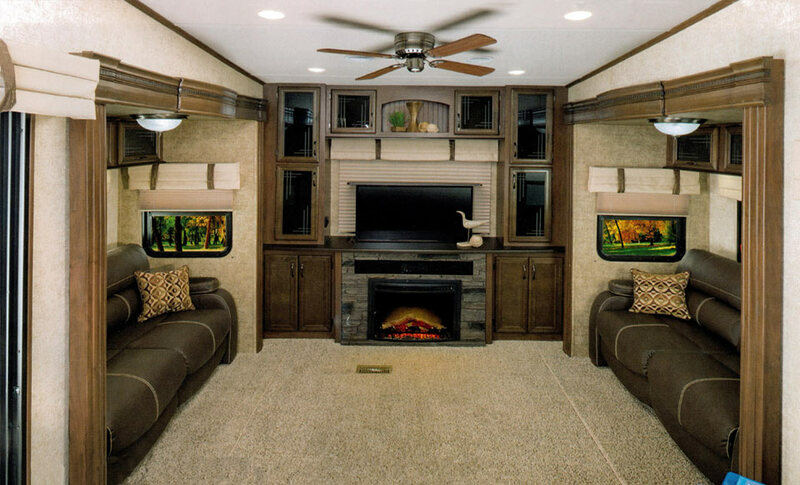 Private deck with patio furniture, camping chairs, BBQ grill fire pit and picnic table are all located on site. 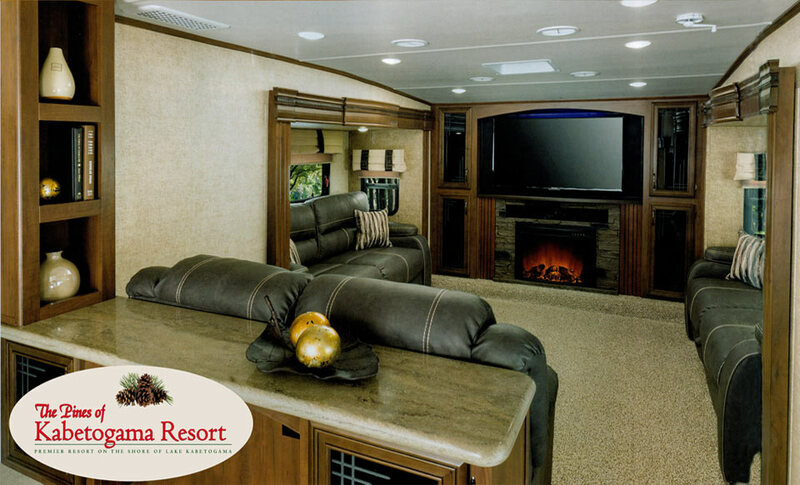 Included is an electric cart for touring the 54-acre estate of land adjoining Voyageurs National Park packed with wildlife, fishing and fun. 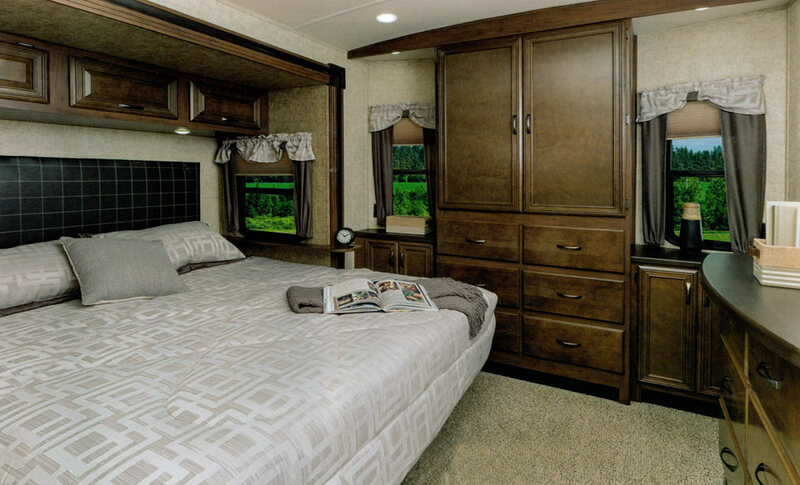 Starting at $1,260.00 weekly or $180.00 nightly plus tax.